If the rate of destruction in #Gaza was applied to the UK, an astonishing 2.27 MILLION people would have lost their homes by now. Netanyahu describes Hamas as a "tyrannical and fanatical terror group that relishes civilian casualties." W bodies now dug out of rubble, child casualties in Gaza at 429, well in excess of previous two conflicts, reports UNICEF. British aid agencies HAVE launched an emergency appeal for people affected by the conflict in Gaza, with the BBC agreeing to show adverts calling for donations -- five years after it refused to participate in a similar drive. The Disasters Emergency Committee (DEC), which brings together 13 leading British charities at times of crisis, said on Thursday that half a million people in Gaza have been forced from their homes, and that up to 1.5 million have limited access to water, sanitation or medical care. 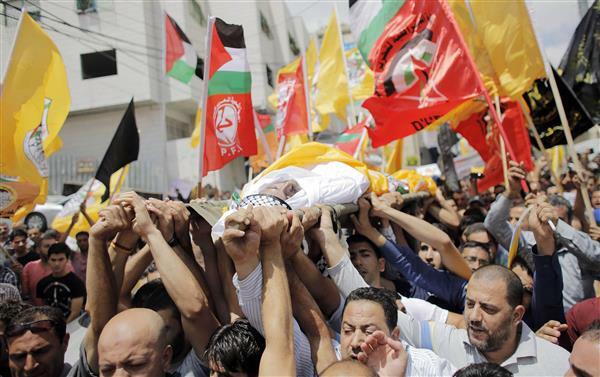 Nearly 1,900 Palestinians and 67 Israelis have been killed in four weeks of hostilities between Israel and Hamas. 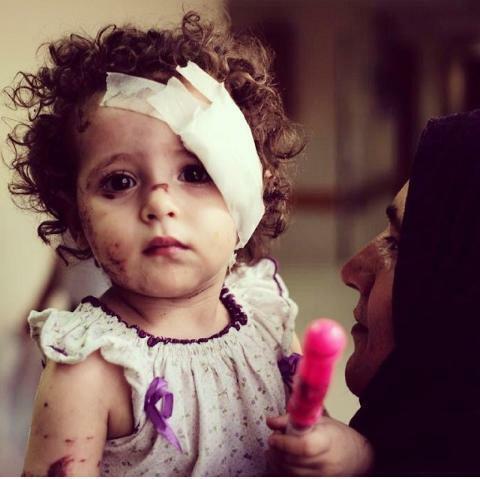 Reuters photojournalist tracks down young survivor in photo. 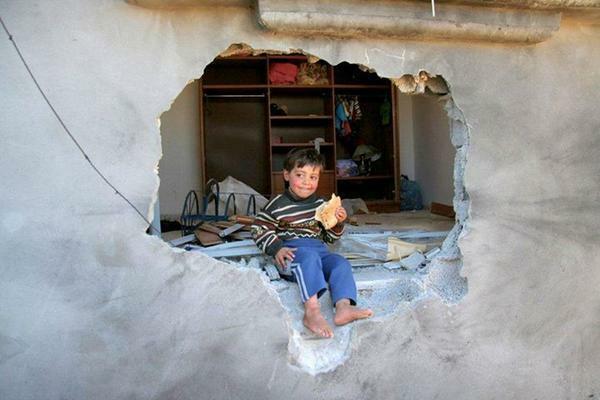 Ten-year-old Mahmoud al-Ghol was rescued from the rubble of a house reportedly destroyed in an Israeli air strike that killed nine members of the al-Ghol family on August 3. Israeli Foreign Minister Avigdor Lieberman has urged Germany to help find a solution to the conflict in Gaza and send inspectors to Gaza's borders along with other European Union countries. Lieberman said in an interview with the mass-selling German daily Bild, published on Thursday, that Germany had a "very significant" role to play in preventing an economic and humanitarian catastrophe in Gaza, where Israel and Egypt maintain tight restrictions on the movement of goods and people to try to prevent arms reaching Islamist militants. He said Germany should bring together EU leaders to help find a lasting settlement for Gaza. Mediators were working on Thursday to extend a truce between Israel and the Palestinians in Gaza, where half a million people have been displaced by a month of bloodshed. A senior member of Hamas' military wing, al-Qassam Brigades, tells al Jazeera it will resume rocket attacks from 0500 GMT on Friday if its demands are not met. A convoy carrying medical supplies and food aid from Jordan has arrived in Gaza City. An estimated 15,000 bags of blood for use in transfusions have also been transferred to Gaza's Shifa hospital. Standing in front of UN flag, a group of about 100 United Nations workers stood quietly for a minute, some with heads bowed, in honor of their fallen UNRWA colleagues. Flags in front of the headquarters building in New York flew at half-staff. According to UNRWA (United Nations Relief and Works Agency for Palestine Refugees in the Near East), 11 of their staff have been killed by shellings in Gaza since the recent conflict started. Blast in north #Gaza killed 5 people just now! A month on from the start of the latest Israeli offensive, Palestinians in the Gaza Strip wonder how they'll be able to rebuild their lives. 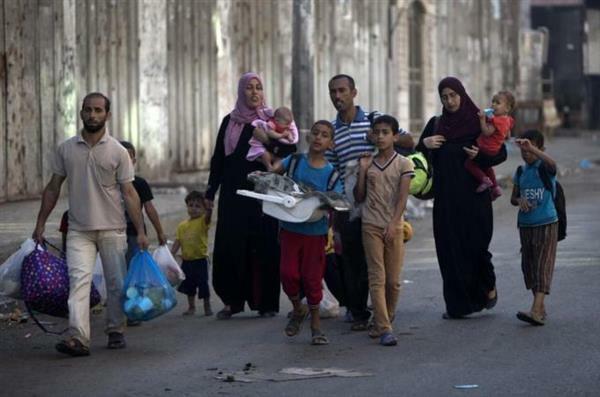 Thousands of Palestinians were fleeing their homes east of Gaza City on Friday in fear of Israeli attacks, after a 72-hour truce ended, an AFP correspondent and witnesses said. The Israeli army says it has not responded to rocket fire from Gaza. Naftali Bennett, the economy minister, told Army Radio this morning that Israel should "immediately" withdraw its negotiating team from Cairo, saying that there can be "no talks under extortion." Two Israelis have been reported injured after rockets fired from Gaza struck Sdot Negev regional council. Since 08:00, over 33 rockets were fired at Israel; 26 of them hit, 3 were intercepted while 4 landed short in the Gaza Strip, the Israeli army said. An Israeli air strike killed a 10-year-old child in Gaza City on Friday, the first death reported since a 72-hour truce expired at 0500 GMT, Palestinian medics said. A woman was wounded in the same attack, emergency services said. Israel announced earlier it had targeted terror sites in the Gaza Strip in response to 18 Palestinian rockets fired towards Israel. 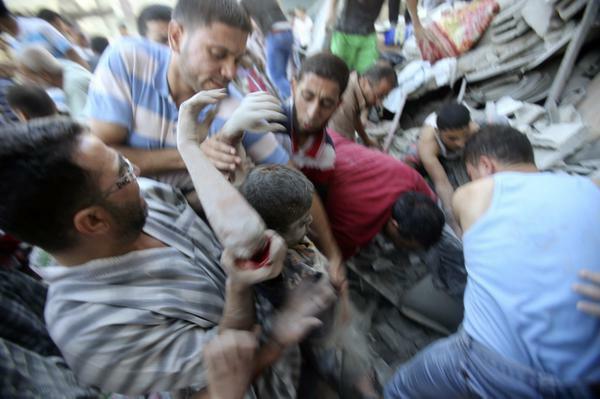 As of 1445 GMT, the death toll in Gaza has now reached 1,895, with 9,816 more injured. During the month-long operation, 64 Israeli soldiers were also killed and three civilians including a Thai national working in Israel. 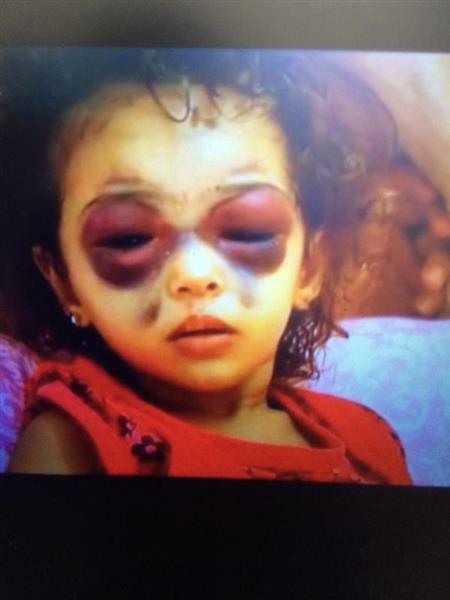 Rama, one of the many injured children in this aggression . The look in her eyes sums it. 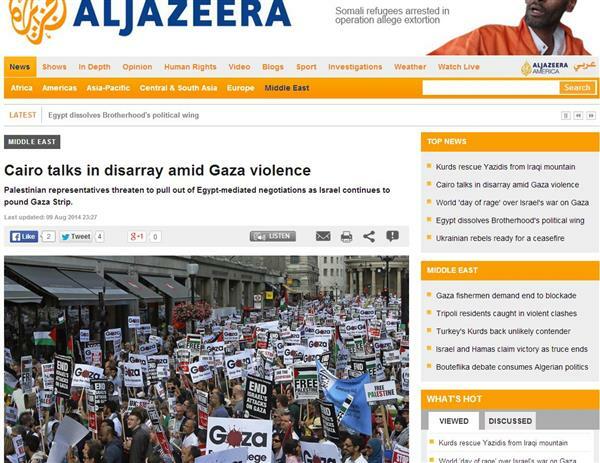 Al Jazeera has learned that three more people were killed following a drone strike in the Gaza district of Khan Younis. 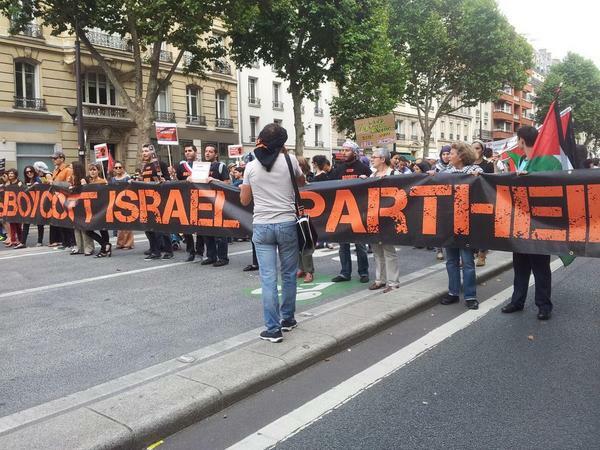 That brings to 1,898 the number of Palestinians killed since Israel launched its military operation in Gaza. At least 22 other people were injured since the truce expired on Friday morning. 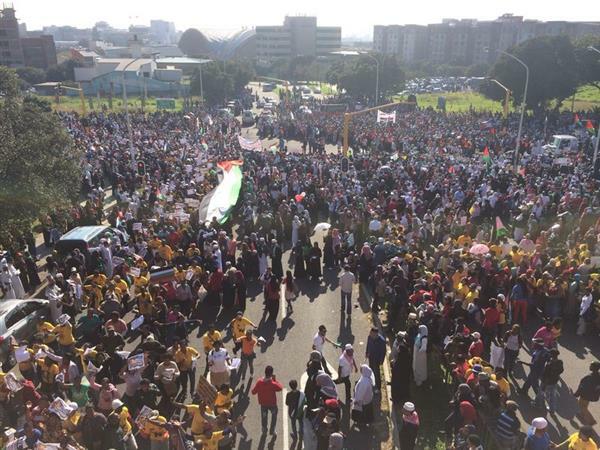 Demonstrators gathered the Iranian capital to protest against Israeli attacks on Gaza. Hundreds of physicians, paramedics and nurses gathered in Tehran's "Palestine" Square on Saturday to express their willingness to go to Gaza and treat the Palestinians injured in Israel's attacks. Al Jazeera's Kimberly Halkett, reporting from West Jerusalem, said that there have been conflicting reports about Israeli negotiators heading back to Egypt to resume talks about a new ceasefire in Gaza. Reports said that Israel has no plans to send negotiators back to Cairo as long as rocket fires continue. 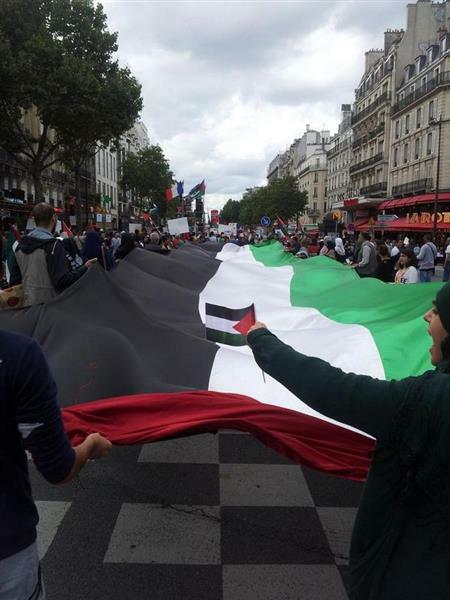 Demonstrators have staged a rally in London against Israeli's ongoing military operation in Gaza. Al Jazeera's Nadim Baba, reporting from London's Hyde Park, said demonstrators are calling on the British government to impose an embargo on the sale of weapons to Israel. 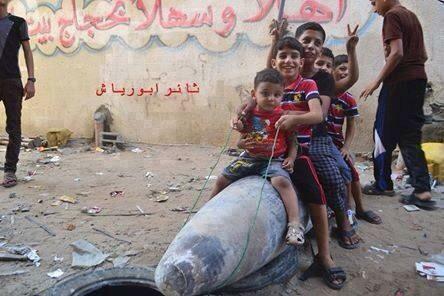 Children in Gaza playing with unexploded Israeli missile. Unexploded munitions could prove dangerous and cause more deaths. Update: 2 rockets fired from Gaza hit southern Israel. 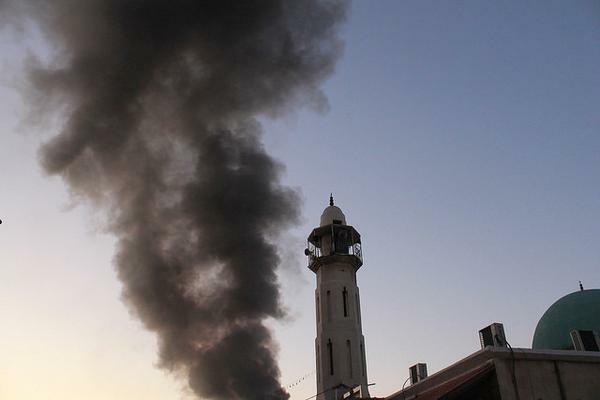 According to our correspondent Andrew Simmons, Israeli military campaign continues, more air strikes in Rafah. One person was killed following an air strike in jabalya. A lasting truce must lead to the lifting by Israel of its blockade of the Gaza Strip, Hamas chief Khaled Meshaal told AFP in an exclusive interview in Doha. "We insist on this goal. In the case of Israeli procrastination or continued aggression, Hamas is ready with other Palestinian factions to resist on ground and politically and... to face all possibilities," he said on Sunday. Azzam al-Ahmad, a senior member of the Palestinian group Fatah and the head of the Palestinian delegation for truce talks in Cairo, said that his delegation is hoping "that the Israeli delegation will not be wasting time" to permanent a more long-term ceasefire in Gaza, Palestine TV reported. Nasser Abu Bakr, Palestine TV reporter in Cairo, said he spoke to al-Ahmad who confirmed that the indirect talks with the Israelis have started, and tomorrow there will be more meetings that will include officials from the Egyptian intelligence service apparatus for briefings on Israel’s demands. According to sources in Egypt and the Palestinian delegation, representatives of the Israeli government have now arrived in Cairo for the resumption of talks for a more long-term agreement on the occupied Palestinian territories. Among the tops demands of the Palestinians are the lifting of the blockade and the reopening of ports in Gaza. The Israeli government have demanded that Hamas disarm and stop firing rockets into Israel.